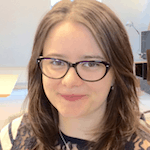 Eugenia Rosca is a post-doctoral fellow at Jacobs University, Bremen, Germany. She is a base-of-the-pyramid enthusiast who wants to make a difference by generating and disseminating knowledge. Her main research interests include sustainable business models, sustainable value chains and frugal innovation in base-of-the-pyramid markets. Rosca can be reached via email at e.rosca@jacobs-university.de. Eugenia Rosca's study of small enterprises in BOP markets reveals that many of them have similar characteristics and are founded to respond to highly pressing local issues. The businesses usually identify a social need and develop a market to address it; then, in time, around one-third of them reported an increased orientation toward economic goals. To be successful, they should acquire skills, resources and capabilities for both social and economic activities.